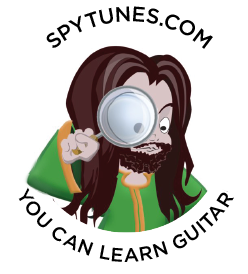 "This is a great place to learn guitar... would encourage you to try it." "I have been learning from Dan for some time now and find his straightforward and logical approach to guitar to be exactly what I've been looking for." "I can now develop musically in a broad and rich way. Your work has illuminated an exciting path forward." 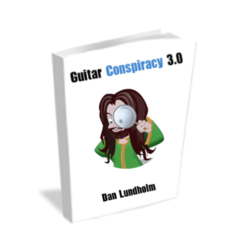 Guitar Conspiracy eBook, a 400+ page eBook explaining the language of music and how it applies to the guitar.